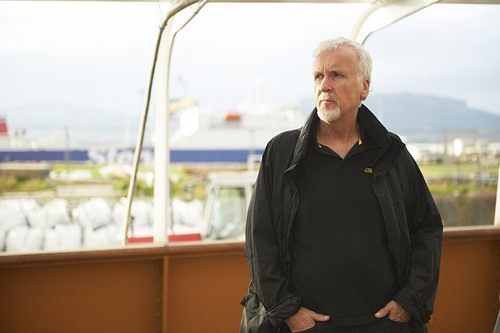 James Cameron is widely recognized for his environmental actions, particularly the movie “Avatar” and its sequels that will be created largely using solar power. In yet another surprising move, the famous filmmaker has reportedly gone vegan, apparently bringing his family along for the adventure. “The kids want hamburgers and Coke because they’re kids,” he said. “But all of human consciousness is five years old emotionally. It’s not a requirement to eat animals, we just choose to do it, so it becomes a moral choice and one that is having a huge impact on the planet, using up resources and destroying the biosphere.” Well said, sir! In his interview with Calgary Herald, he says he enjoys kayaking or scuba-diving with his kids – which isn’t surprising given his love for the Earth. His wife also runs a progressive school, which greatly emphasizes outdoor living, simplicity, and personal responsibility. It’s nice to see an influential celebrity actually going vegan for ethical reasons rather than weight loss or other vanity-related factors. Cameron is particularly fond of rainforest preservation, so the fact that cattle farming is the biggest contributor to the destruction of its resources may have a lot to do with this decision. It sounds like he and his wife both have their heads in the right place for some positive environmental influence. Perhaps over time their kids may feel the same way. Regardless, it’s not unlikely that he will have an impact on the choices of his fans and followers – and if we’re lucky, maybe there will be a movie about it.